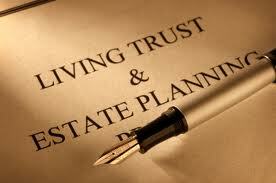 Asset protection is not a consideration during the present day; it’s a mandatory objective if you really wish to pass on your legacy and wealth to your loved ones in the most complete form as possible, one that is not hindered by probate courts, unnecessary taxation, creditors or lawsuits. With adequate asset protection methods in place by Joe B Garza, you can enjoy peace of mind in knowing that your legacy is shielded from the unforeseeable. You worked an entire lifetime to earn it, so why should half of it be taken from you after you are gone instead of being passed on to your loved ones? We say NO to that notion. There are plenty of effective procedures and methods that you can put into place that can maximize the distribution of your wealth after you are gone. Don’t overlook this key strategy. A lot of people plan long after the fact. When they are facing creditors, or when they find out that a company they own was not setup properly and now they are on the hook to creditors. There are ample considerations to ponder here. A simple lawsuit can rob you of a lifetime of earnings if you are not adequately protected with asset protections shields. It’s your legacy and your good name. Don’t play the cards against the odds when bad things can and do happen. Be wise with your wealth. Plan ahead for the unforeseeable and enjoy the comfort that you will gain in knowing that your estate is fully protected for the future. Learn more asset protection tips by Joe B Garza.